If you’re a devoted QuickBooks user, you may wonder why people make such a fuss about CRM software. After all, QuickBooks is your hub for customer transactions, and the Notes feature allows you to jot down other pertinent details. What more do you need for keeping track of your buyers? The answer depends on whether you want your customer relationships to be about more than just numbers. A small hint: you do! While it’s important to be aware of purchase history, the best way to build customer loyalty is to focus on making genuine connections and providing individualized service. That’s where customer relationship management software comes in. Unlike your accounting software, CRM software is designed to paint a detailed picture of each customer’s personal history with your business — from marketing campaigns to meetings to satisfaction issues. And since QuickBooks already contains each customer’s financial history, your best bet is to combine the two. A QuickBooks-integrated CRM lets you leverage your existing accounting data while tracking other valuable information, giving you complete visibility into your customer relationships. Here are 7 reasons why Method:CRM is the ideal customer management solution for businesses using QuickBooks. Adopting new software can be intimidating — but it doesn’t have to be. 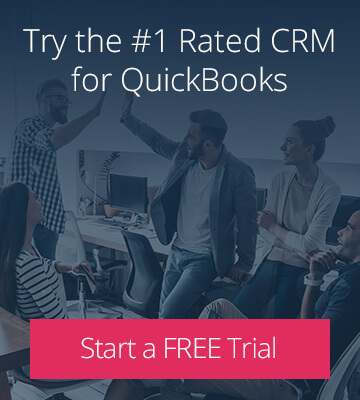 Unlike a lot of other CRMs, the industry-leading sync between QuickBooks and Method makes it simple to get started with better customer management. 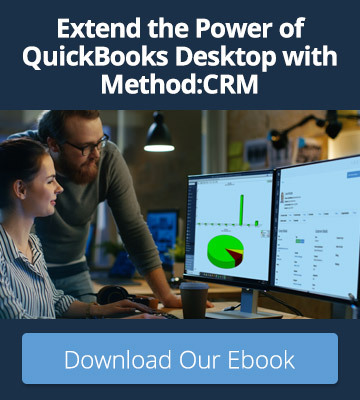 As soon as you connect Method:CRM to your QuickBooks file, your existing customers are automatically synced to your Method account. It’s that easy! And since the sync goes both ways, you can add new customers through either program and they’ll immediately show up in the other one. As your small business grows, you’ll likely hire new employees to better serve your customers. However, giving every employee access to your QuickBooks file is less than ideal. 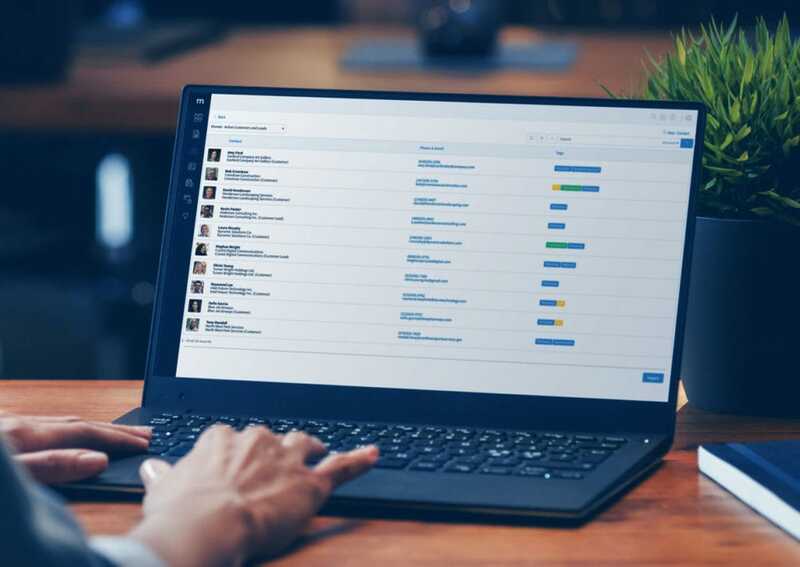 By using customer management software that integrates with QuickBooks, you can limit employee access to your accounting software while giving them the data they need to effectively assist customers. View contact information and past purchases, create new estimates and invoices, and process payments right in Method:CRM. Your staff will love being self-sufficient and you can rest easy knowing that your QuickBooks file is secure. If your business does B2B sales, you likely interact with multiple individuals at each company — often, the person you sell to isn’t the person who pays you. However, cluttering your QuickBooks file with non-billing contacts can lead to missed payments if you accidentally invoice the wrong person. Luckily, CRM software is made for managing all of your contacts, regardless of their roles. Method:CRM lets you add unlimited contacts per customer so you can create a complete picture of your relationship with a company. And since contacts created in Method don’t sync to QuickBooks, you can keep your accounting software strictly focused on accounting. Providing personalized service starts with knowing who your customers are and what they need. And while it’s possible to add custom fields in QuickBooks, your accountant doesn’t necessarily want to see your customers’ favorite colors alongside their financial data. Instead, take advantage of Method’s 100% customizable platform. Add unlimited custom fields to track whatever data is important to your business, from shoe sizes to pets’ birthdays. When you know more about your customer than the date of their last invoice, you can provide an unforgettable service experience that drives repeat business. Your history with your customers goes beyond past purchases — it’s important to track conversations too. But if you’re relying on QuickBooks Notes to do so, employees without access to QuickBooks will struggle to stay informed. And if additional notes are scattered across employees’ desks, inboxes, and minds, it’s hard for anyone to refer back. Customer management software offers a centralized solution for tracking customer interactions. 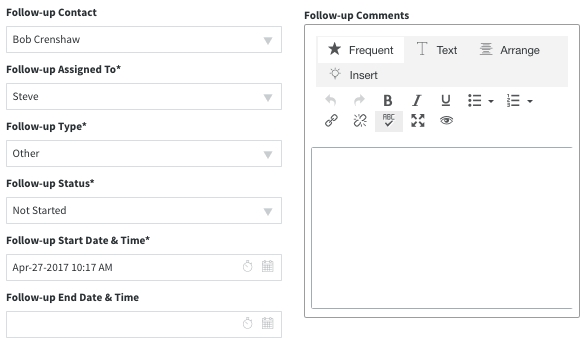 Create activities in Method:CRM to record the details of meetings, phone calls, and emails. You can also create cases to document ongoing problems, so everyone on your team stays in the loop. In business, time is money. The longer it takes for your business to follow up with a customer, the more likely it is that they’ll turn to your competitors. This can be especially problematic for businesses using QuickBooks Desktop. If your customer data lives at the office, you’ll struggle to stay connected while on the go. Using a QuickBooks-integrated CRM solves this problem by bringing your essential QuickBooks data into the cloud. Better yet, the Method:CRM mobile apps let you bring this data anywhere you go. Whether you’re updating a phone number, creating an estimate, or processing a payment, your customers will appreciate that you’re always on top of their needs. When you view your QuickBooks customers, your primary cues to reach out are likely overdue invoices or insufficient payments. But if you want to build long-lasting relationships, you need to find more positive communication opportunities. Activities in Method:CRM aren’t just for completed interactions; use them to plan future ones as well. Schedule follow-up activities to remind yourself to reach out to your customers at regular intervals. Maybe you want to collect feedback, test cross-selling strategies, or just wish them a happy birthday — the reason for the follow-up is up to you. The point is to keep your business top of mind so customers feel motivated to return to it. Although QuickBooks is a comprehensive accounting solution, your customer relationships are about more than just numbers. QuickBooks-integrated CRM software takes you beyond the finances and gives greater context to your purchase data. When you truly understand each customer’s history with your business, you can provide them with personalized service that keeps them coming back.